which makes the foundation less brittle,particularly in cold temperatures. The size of cell is European standard 5.4mm. We can do all kinds of size according to your requirments.eg: 41cm X20cm, 41cm X 26cm, 34.2cm X 29.2cm ,39.2cm X 24cm; etc. 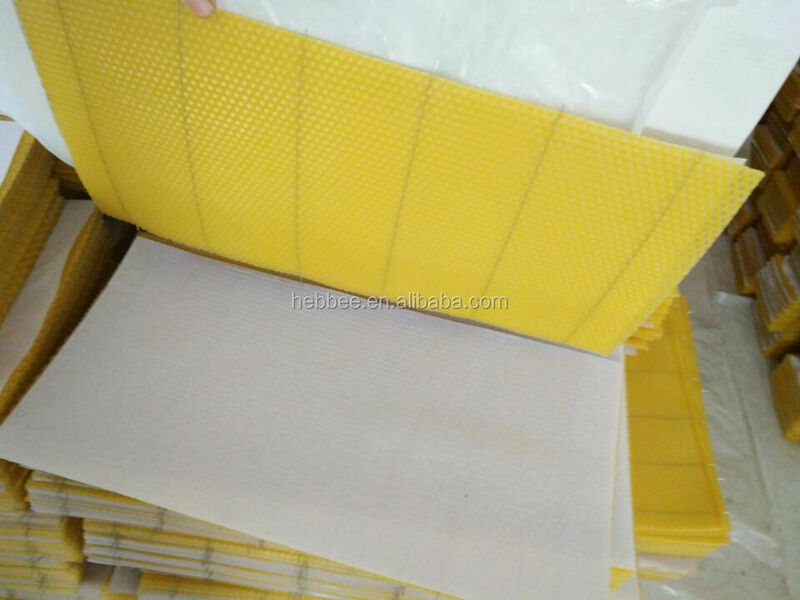 1.The sensory: Standard size,Flat surface, The cell in line and special size can be customized. 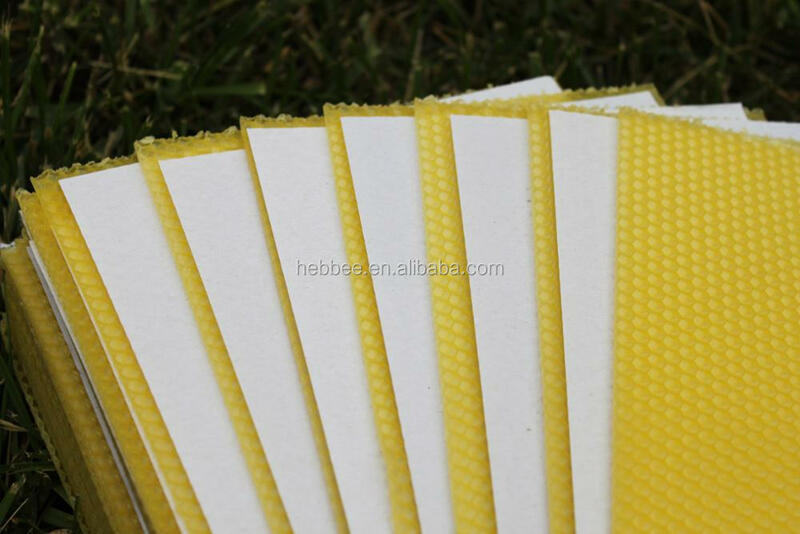 2.The smell:The raw material has been selected carefully, the smell is aroma of beeswax.The honeybee like this smell. And Accept fast, Built nest and spawn that day. 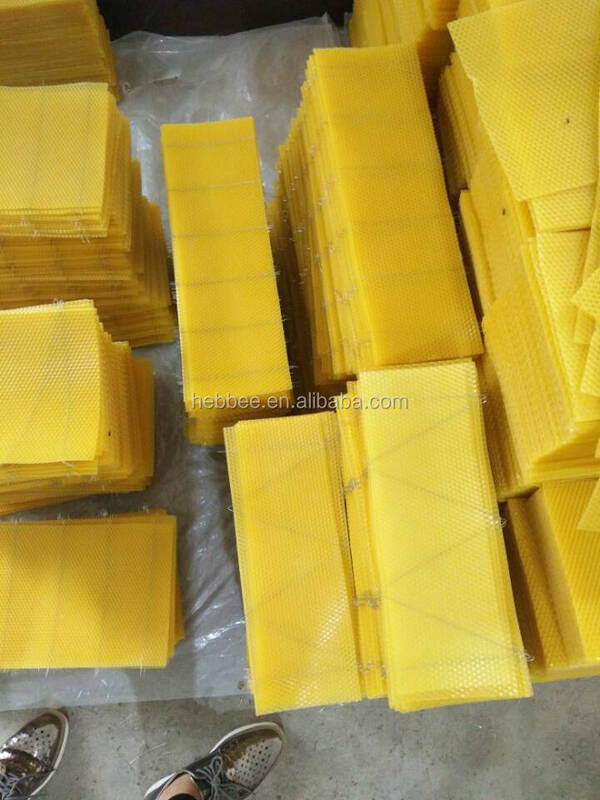 3.Inside character:Recipe reasonable,It can be Free curl, and don’t brittle.And the melting point is higher than others, even in the hot summer, our beeswax foundation is non- deformation. 4.From production equipment:Unique equipment in the country,Advanced processing technology, Processing workshop clean and tidy. All of this up to standard in world. 5.Using group: “yixiang” famous brand was established in 1984,has the most widely user. Won the brand products in International agricultural expo. Won the outstanding bee products in China. Have the title of Chinese king of comb foundation. 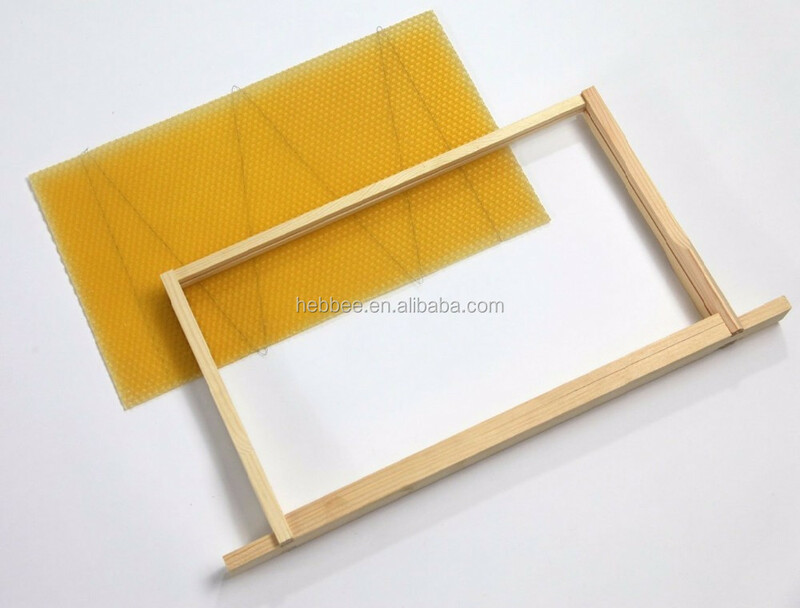 Should the 100% pure bee wax wired beeswax plastic foundation sheets with wire caters to your requirement, welcome to buy the cheap products in stock from our professional manufacturers and suppliers in China. We are equipped with a professional factory at your service. Please be free to enjoy our low price and good service.